Thousands of people demonstrated in Madrid on Sunday against Spanish Prime Minister Pedro Sanchez's proposed talks to ease political tensions in Catalonia. The protest was organised by the centre-right Ciudadanos and far-right Vox opposition parties. 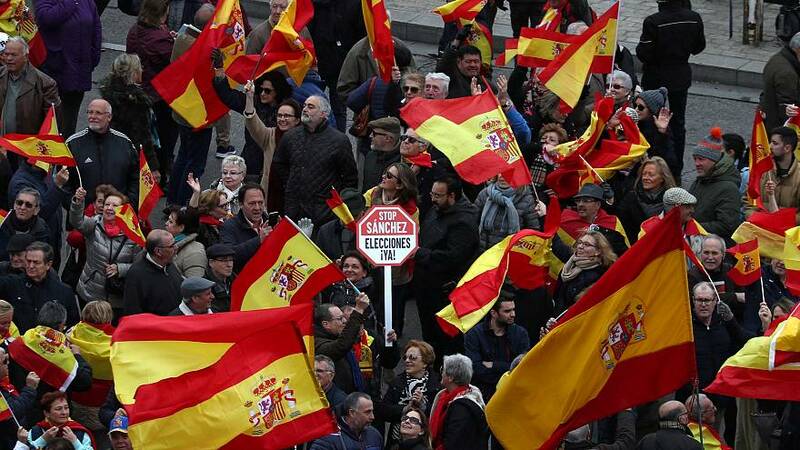 Demonstrators waving Spanish flags filled the Plaza de Colon in the city centre in the largest protest Sanchez has faced, with slogans reading "For a united Spain, elections now!". The Socialist government's proposal last Tuesday to appoint a rapporteur in talks among political parties to address the Catalan independence crisis has galvanised the opposition, which has deemed it a betrayal and a surrender to pressure from Catalan separatists. Opposition parties have called for early elections.